Textkernel is participating at three different events this week. Meet us in the United Kingdom, the United States and the Netherlands! This event, organised by UK Recruiter, has pulled together a comprehensive line-up of the best recruitment technology businesses and gurus in the UK to help you recruit more efficiently. Visit Textkernel and find out how the combination of its advanced parsing, semantic search, sourcing, matching and lead generation tools can help staffing and recruitment agencies place every candidate they have ever sourced. Meet Textkernel’s Gerard Mulder and Monica Schoonhoven at Bullhorn’s Engage 2017 in Boston. Engage is the ideal event for exploring the opportunities and challenges associated with accelerating business growth in the new relationship economy. More than 40 innovative business leaders will take the stage. Learn how to build better business relationships and transform your business. 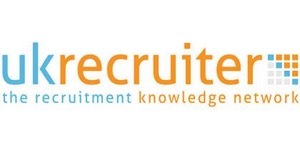 Attend the roundtable session led by Gerard Mulder on how to maximise your sourcing with Semantic Search and AI or visit Textkernel at the CareerBuilder stand. Textkernel is partner of the first edition of the Demo_Day, during which 20 recruitment technology suppliers will give demos and tech talks. Visit Textkernel’s stand and find out how our technology can help you better source and match and how job data can help you generate leads and gain insights into trends and developments in the labour market. Textkernel will be represented by Marcel Wijngaard and Arjan van der Vecht. Interested in finding out about our technology? Visit us at one of the shows or contact us directly.